Order 1 copy of Mask of Masculinity on Amazon today. Amazon will email you a receipt. Get the order number from your receipt and enter it below to get your bonuses! 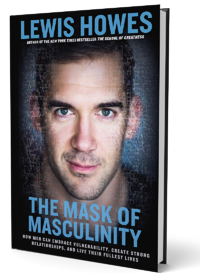 Order 1 copy of Mask of Masculinity on Amazon today. Amazon will email you a receipt. Get the order number from your receipt and enter it below to get your free bonuses!